February is Black History Month, and while commemorations and celebrations of African-American history and culture are scheduled all month across the U.S., along with Canada and the United Kingdom, it’s hard to not think it’s a little special at CSUDH. Were it not for the Watts Rebellion in 1965, this campus may not be where it’s situated, as the initial plan was to build it in Palos Verdes and it held it first classes in January 1965 at what was then known as California State College Palos Verdes. However, after the civil unrest later that summer, the need to provide underprivileged people in South Central Los Angeles and other neighboring communities access to higher education prompted the decision to move the campus to the city of Carson, where California State University, Dominguez Hills’ permanent campus opened October 1968. The theme of CSUDH’s Black History Month is “New Directions in Race and Medical Technologies,” and throughout the month, a series of lectures and workshops designed to celebrate the accomplishments of the African-American community, as well as inspire a new generation of leaders, will be held on campus. 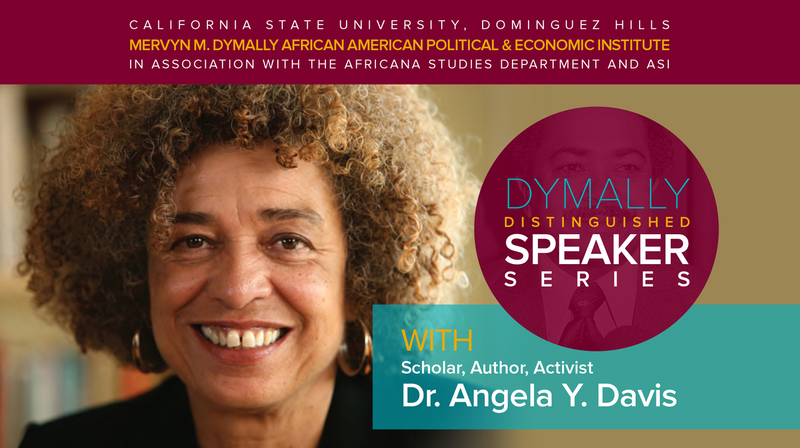 One of those events takes place Monday, Feb. 11., as a celebrated author, activist and scholar Angela Y. Davis will give a lecture titled “A New Connection Finding Its Own Voice” in the CSUDH gymnasium at 4 pm. Davis is part of the distinguished lecture sponsored by the Mervyn M. Dymally African American Political & Economic Institute, a think tank on campus focused on public policy and its effects on the black community. Donna Nicol, the department chair of Africana Studies,at CSUDH, said Davis is a perfect fit for both the campus and this year’s theme. “She is a historical and international figure because of her fight for black rights in the 60s and the 70s,” Nichols said. Davis was born Birmingham, Alabama and studied at Brandeis University and in Germany before receiving her master’s degree from the University of San Diego in 1968 and her doctoral degree in Berlin. A prominent voice in the counterculture, her brief association with the Black Panther party also made her a very controversial figure, but her activism spanned issues ranging from gender inequality to the prison-industrial complex and since 1980, she has devoted her life to writing, lecturing, and teaching.